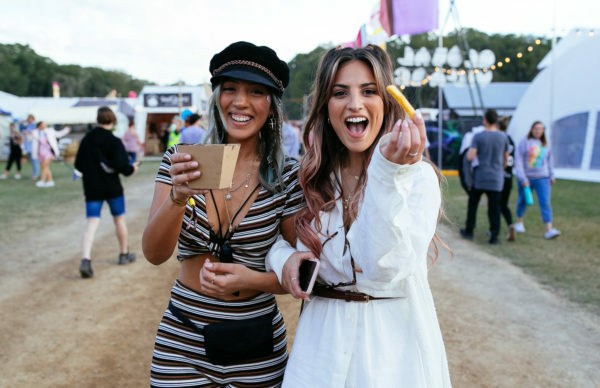 With Splendour In The Grass just a few days away, here’s 10 tracks that we can’t wait to hear live! Having only been released a few weeks ago, it almost feels like Peking Duk made this anthem solely for Splendour In The Grass. A chanting, sing-a-long hook is sure to sound huge and echo effortlessly when they drop this live – and the duo have also hinted that they’ve got big surprises locked in for their set. Shlohmo might be playing at 1:30 on Sunday afternoon, but we’re hoping for overcast weather so that we can get properly emotional for his set. The bleakness of his album Dark Red reaches an omninous depths on ‘Buried’ – listen above and be prepared to cry into your mid-strength beer when this drops. While ‘Uptown Funk’ is probably going to appear multiple times throughout Mark Ronson’s star-studded set – which includes Theophilus London, Kevin Parker, Daniel Merriweather & more – we’re more excited for this banger from 2003, especially after Ghostface Killah’s viral video this week. R.I.P. Nate Dogg. We could go on forever about how many certified dancefloor burners Flight Facilities have, but ‘Foreign Language’ has a special place in our hearts. Having done the rounds on Australia’s club and festival circuit numerous times, expect a veteran’s finesse when they take the decks. Fresh from the release of their album How Does It Feel, ultra hip Brooklyn duo MS MR will be bringing all that anthemic pop goodness to Splendour – and ‘Criminals’ shimmers with enough good vibes to have your dancing the soles off your gumboots. Just try getting this track by Eves The Behavior out of your head. While Lorde’s performance at Splendour back in 2013 (replacing Frank Ocean) was an important milestone in her career, we’re thinking that this might be a similar breakthrough moment for the 21-year-old. This Canadian duo have a knack for captivating vocals and intricate production that heralds hip-hop tastefully, making their live show a bouncing pleasure. ‘Belispeak’ is their definitive anthem – we’ll take this or the Danny Brown version, please! This track is kinda heavy, and features ice cream in the video. Need we say more? While local legends Thundamentals will be taking the stage at Splendour, we’re very happy that emcee Tuka will also be performing a solo set for RBMA after the release of his excellent album Life Death Time Eternal. ‘Yeah Right’ bangs with all of indie rap’s brightest eccentricities. Lord knows that we’ve heard enough DJs spin this over the years, and come Splendour, we’re going to see it live in the flesh! We’re expecting this to be one of the biggest moments of the entire festival. Their new album The Magic Whip also goes alright too, but this is just dynamite. A dunk diary of the best throw downs so far.